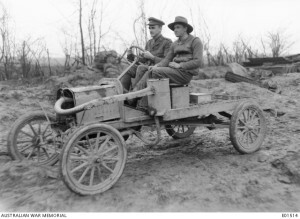 World War I had a profound impact throughout NSW. State Archives Regional Archives Centres will be sharing stories from their private collections to give a regional perspective to worldwide events. Our network of Regional Archives Centres are located in host institutions in Armidale, Broken Hill, Newcastle, Wagga Wagga, Wingecarribee and Wollongong . The Regional Archives Centres provide access to State archives of regional significance and to copies of key State archives. You can read more about them on the State Archives website. 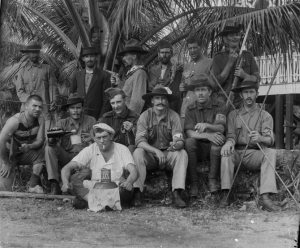 The team at UNE are working on a number of Anzac related projects, including locating images for publications. 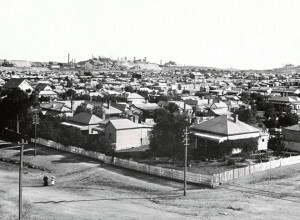 Broken Hill, 1908. Digital ID 14086_a005_a005SZ846000027r. Check out local studies and family history collections. Check out the range of local and family history resources available at the Newcastle Region Library. They also hold a number of exhibitions and events related to the Newcastle area. 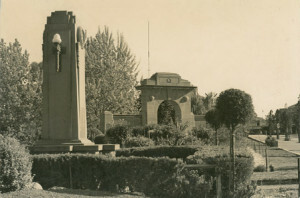 Victory Memorial Gardens, Wagga Wagga. Digital ID 12932-a012-a012X2442000126. Check out a range of genealogical and regional records as well as university records. 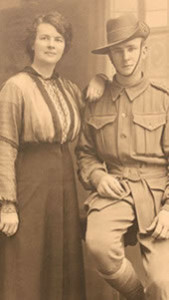 Charles Sturt also holds a number of war related photos. Check out records relating to the Illawarra region at the University of Wollongong Archives.